Brooklyn-based Praytell had the kind of year every agency chief prays for. And it wasn't just about growth, although it had that too, at record-setting rates. Brooklyn-based Praytell had the kind of year every agency chief prays for. And it wasn’t just about growth, although it had that too, at record-setting rates. The one-time boutique jumped into the Small Agency category after its acquisition by Project: WorldWide. Praytell’s revenue grew 77% in the process. Organic client growth contributed 9%, while 68% came from new business accounts. Praytell joined the independent, privately owned network as its first PR firm and attributes new clients Toyota and Respawn Entertainment to the alliance. Its headcount jumped from 30 to 55, the firm planted its first foreign flag with a foray into London, and opened offices in San Francisco, Los Angeles, and Austin. Moreover, the integrated agency, known for innovation and client service, racked up 35 new accounts and produced work that elicited client comments such as: "When I’m looking for the creative, amazing ideas, I know I can turn to Praytell to make it happen." A recent example included its work for Vivino, the wine enthusiast app. It tapped into consumer conversation by creating a series of wine pairings such as Wine + Girl Scout Cookies, driving 170-plus online stories, and gaining Vivino 1 million new users within two weeks. "Phenomenal creative work that is evident at all levels of the agency," said a judge. "Praytell is an exceptional modern integrated agency." The fast-moving firm also established a formal strategy team last year, a content copywriting team, built an integrated events offering, solidified its influencer engagement program, and expanded its in-house video production. Anheuser-Busch’s The High End and Estee Lauder now use its video services for internal communications efforts. 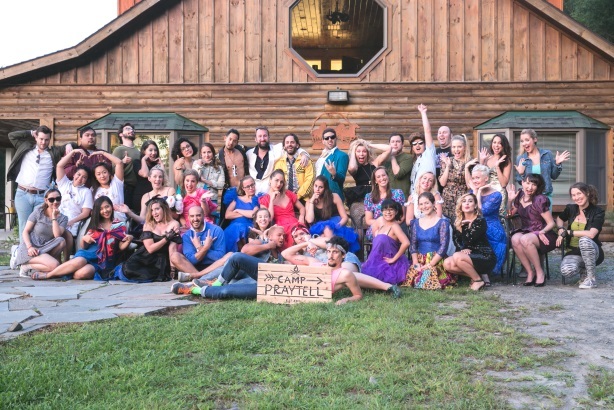 Praytell also boasts a 96% staff retention rate, showering employees with generous perks such as travel money, so they’ll use that "unlimited vacation" perk, retreats, stock, and more. Singer has quietly built its reputation as a "go-to" public affairs shop in the West, dealing in high-stakes public affairs, healthcare, litigation, and other complex corporate comms with marquee clients such as Chevron, Monsanto, and Stanford University. The San-Francisco based firm works through yearslong crises with clients such as the City of San Bruno, which just won a record settlement from PG&E following a gas explosion that killed eight and destroyed homes. Its revenue jumped 20% over 2015 to $8.5 million as new clients such as Alaska Airlines joined.